For three years, Andrew Paxton has slaved as the assistant to Margaret Tate, hard-driving editor at a New York publisher. 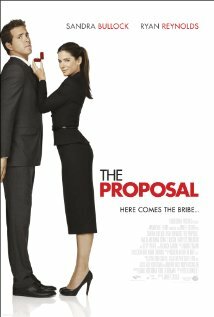 When Margaret, a Canadian, faces deportation for an expired visa, she hatches a scheme to marry Andrew - he agrees if she'll promise a promotion. A skeptical INS agent vows to test the couple about each other the next Monday. Andrew had plans to fly home that weekend for his grandma's 90th, so Margaret goes with him - to Sitka, Alaska - where mom, dad, and grams await. Family dynamics take over: tensions between dad and Andrew, an ex-girlfriend, Andrew's dislike of Margaret, and her past color the next few days, with the INS ready to charge Andrew with fraud. Please only use Mozilla Firefox and Google Chrome browsers !